Despite an overall improvement in the number of children free of tooth decay, over 27% of 5-year-olds have tooth decay according to a survey by Public Health England. The study ‘National Dental Epidemiology Programme for England, oral health survey of 5 year old children 2012’ also found that children with decay have on average between 3 and 4 teeth affected by decay, treated or untreated. It is the second national survey undertaken, the previous was in 2008. - Levels of decay vary regionally with more children in northern regions with tooth decay than those in the south and eastern regions. Levels of decay ranged from 21.2% of 5 year olds in the South East to 34.8% in the North West. Decay levels are higher in the more deprived local authorities. Health Minister Lord Howe said: "We know more work is needed to make sure good oral health is more consistent right across the country. Every child should have the opportunity to grow up with a healthy smile. However, we have some of the lowest decay rates in the world and more 70% of children in England are completely free of tooth decay. "Dental teams have worked incredibly hard to improve oral health and more than a million new patients have seen an NHS dentist since May 2010. I am confident that decay levels will continue to fall." From the 1 April 2013 local authorities are responsible for assessing the oral health needs of their local population, developing oral health strategies and commissioning oral health improvement programmes. We will be providing support to local authorities and are currently developing commissioning guides starting with a focus on the needs of young children. 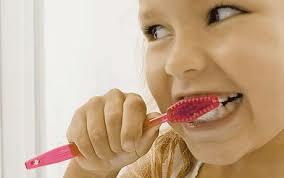 A revised version of Delivering Better Oral Health will be published in 2014. This evidence informed toolkit for prevention will be distributed to all NHS practices in England so they can give the best advice to patients about self-care for themselves and their children.